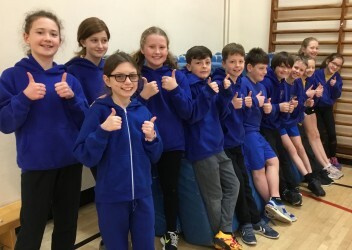 Today our play leaders (from the Excellent Eagles class) were taken to Holmfirth High School for an afternoon of Play Leadership Training with other local schools. They performed whole group tasks as well as developing games to take back to school. It was a great afternoon and our play leaders were a credit to Hade Edge. Well done on a superb afternoon!